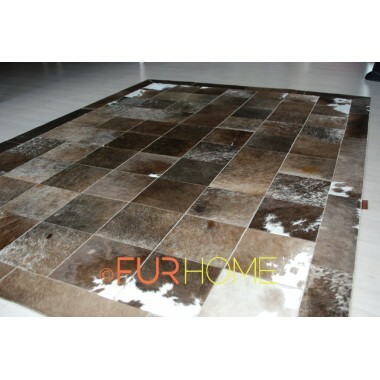 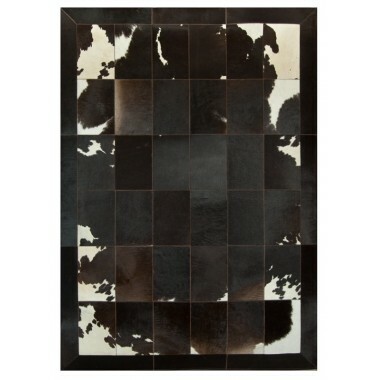 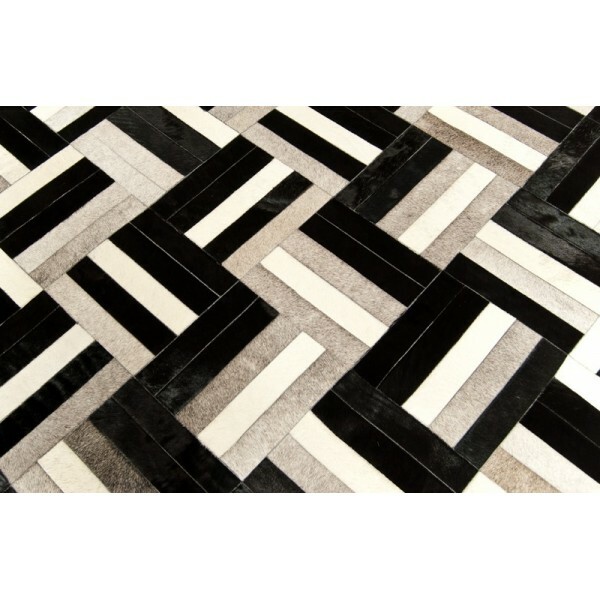 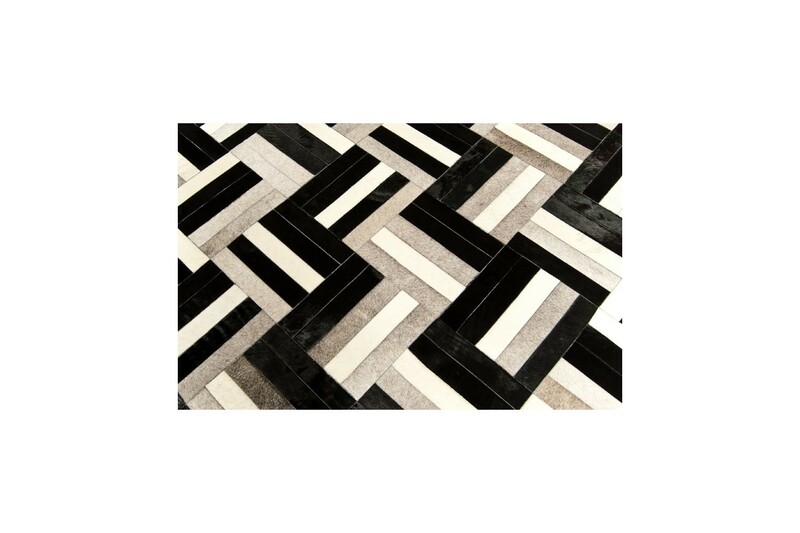 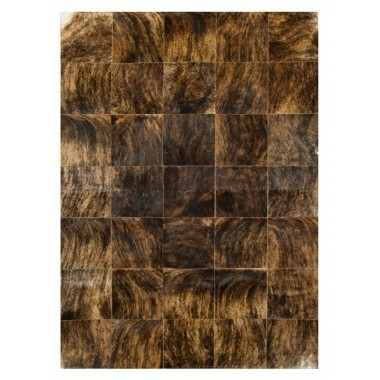 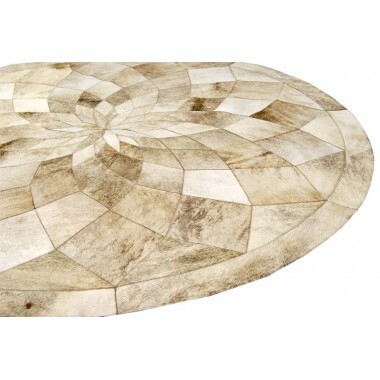 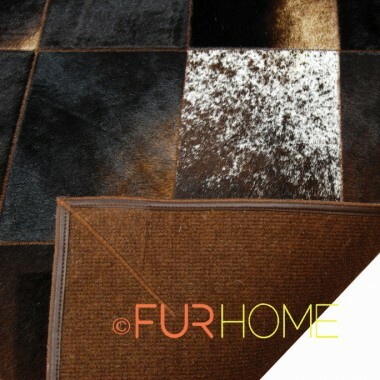 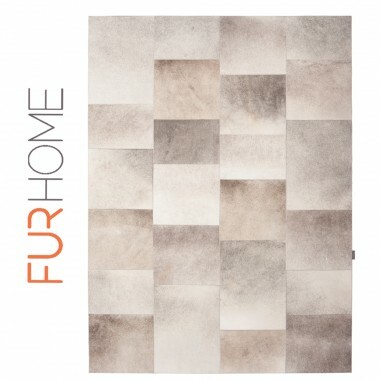 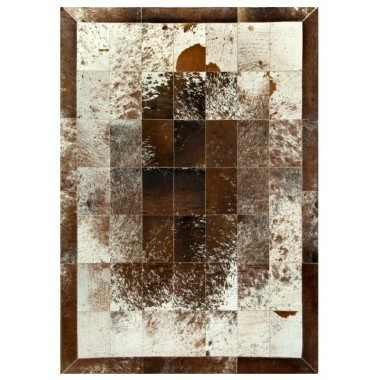 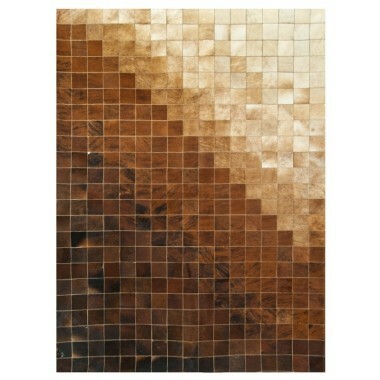 K-1735 is a modern cowhide carpet featuring an amazing tricolor labyrinth pattern. 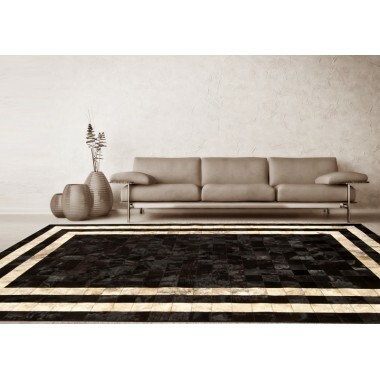 This exciting pattern is a maze of colors and lines. 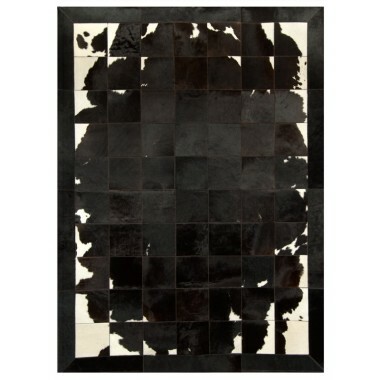 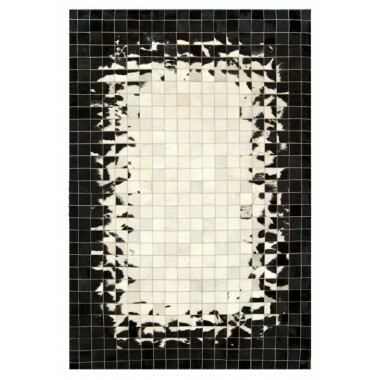 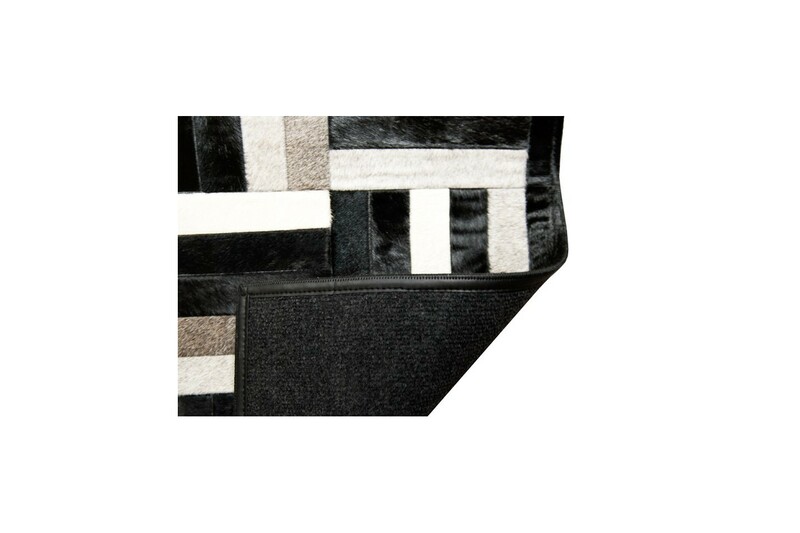 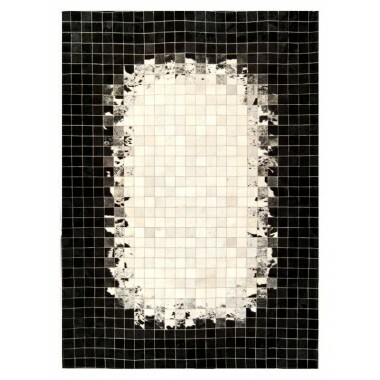 The black, gray and white colors in this handsome horsy rug will surely make anyone get lost in thought. 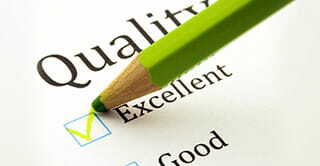 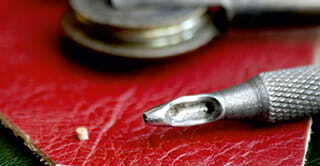 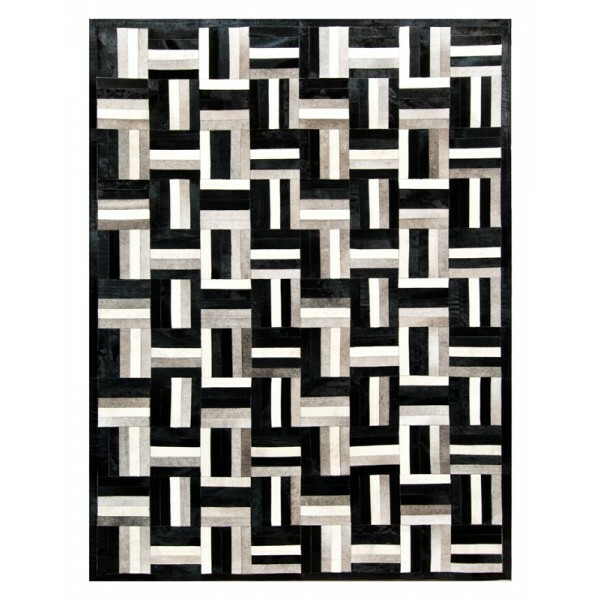 Brilliant lines and straight edges are enough to cut through any dull day and brighten any mood. 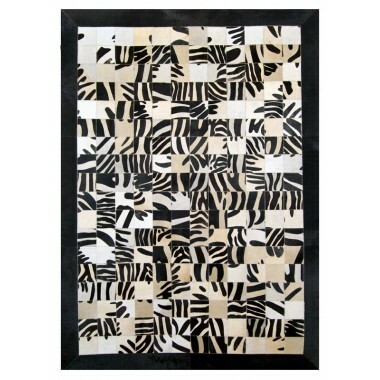 The straight lines and sharp turns are hand crafted on only the best parts of the cowhide. 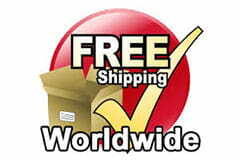 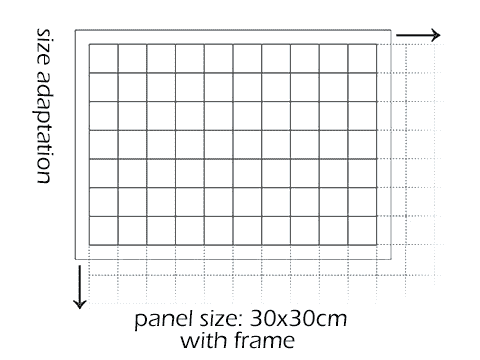 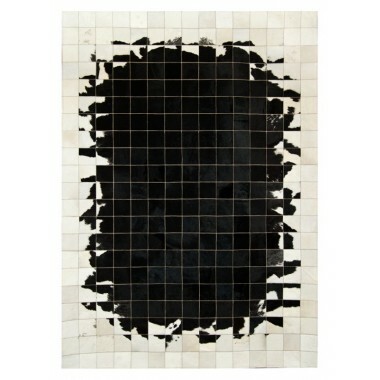 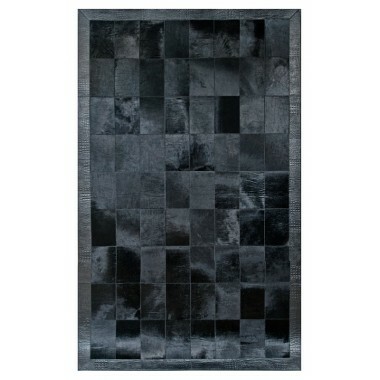 This means they are a strong quality built piece of work which makes this a great rug for any spot in the house. 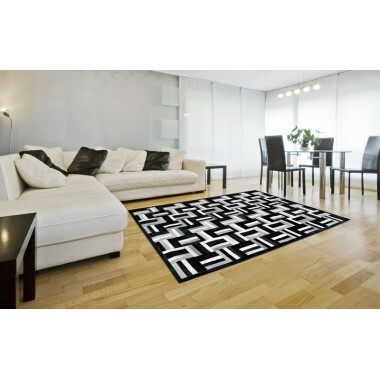 Modern style meets mainstream lines in this rug. 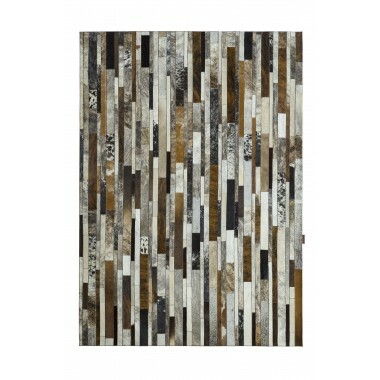 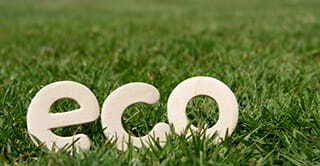 A must have for a fresh start in a new place or bring a new look to your current space. 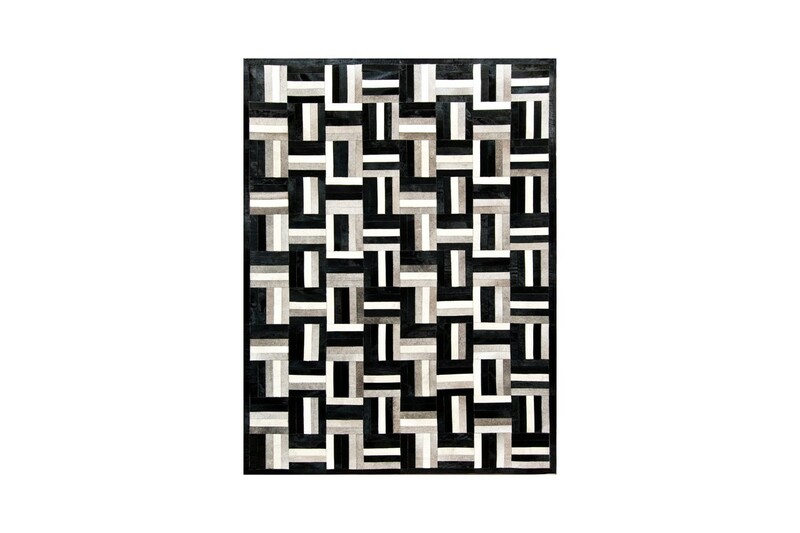 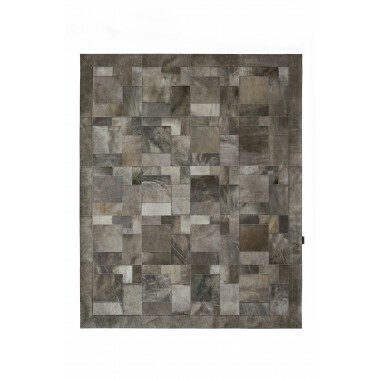 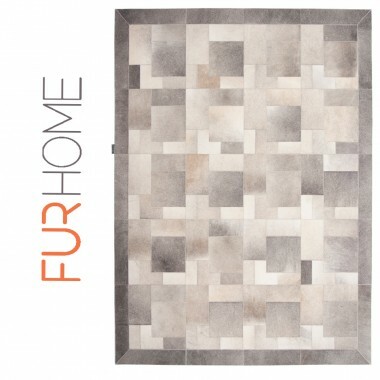 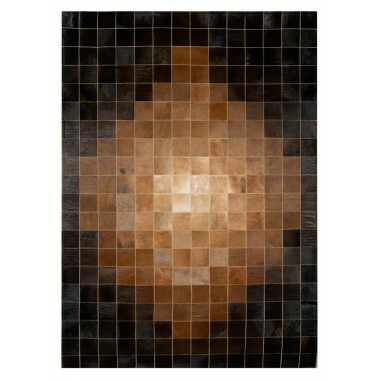 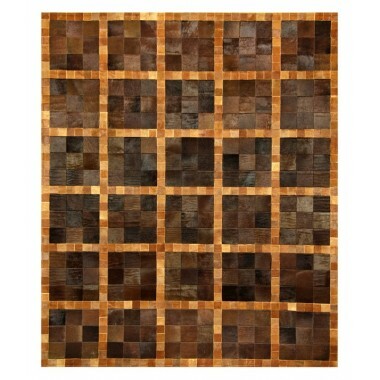 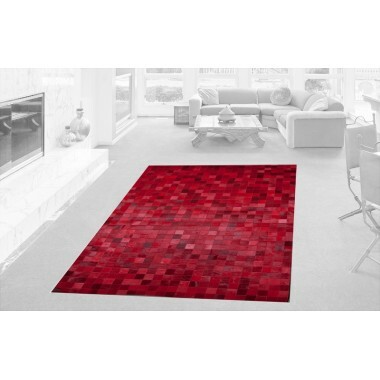 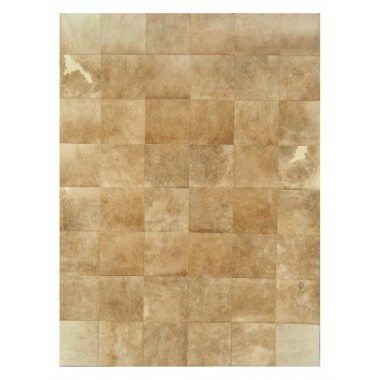 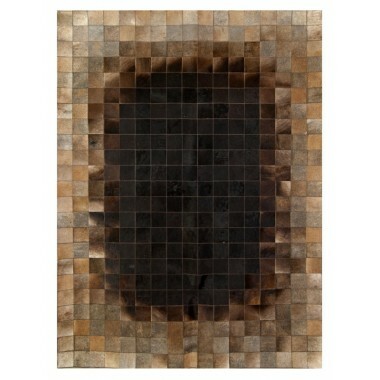 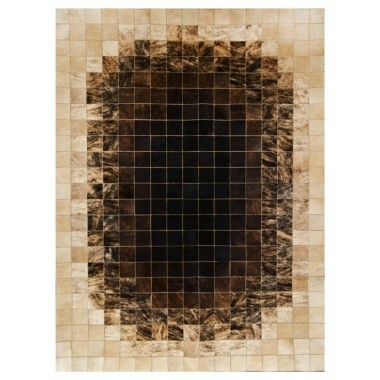 This rug will make the room feel bigger with its distinct pattern. 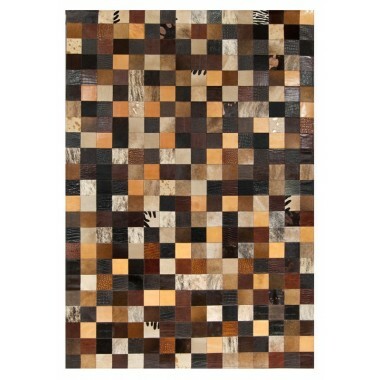 This handmade rug is a great addition to any home. 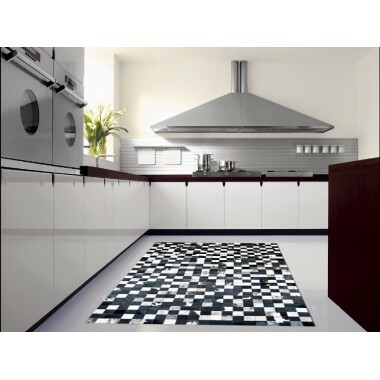 This rug may be used for an array of purposes, including adding comfort to rough floors and defining the spatial layout of the space.